Security is becoming very stringent all over the world due to terror threats and this situation has raised the security and safety grades of national and international flights all over the world. In the U. S., the safety of flights is taken more seriously than any other country. 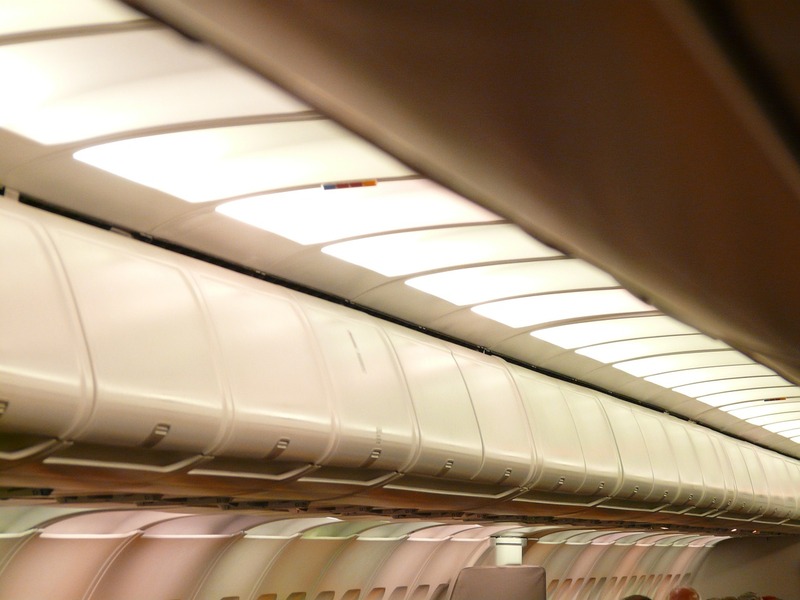 Many common items are banned in the U.S. airlines flights. No one wants to miss a flight but it happens quite often, especially for first-time flyers. Flights are missed even after reaching the airport on time and embarrassing situations are created because people are not aware of security rules and they end up carrying things with them that are confiscated at the airport security checkpoint. This causes unnecessary problems other than delayed or missed flights. Apply today and get your ESTA document by email! If you are flying with any US airlines then you must know that they have beefed up their security checks at the airport and many new rules have been put into place. The safety and security of the flights and the passengers is the first priority of the TSA (Transport and Security Administration). With frequent terror threats, TSA has increased the check-in time and a very strict open check-in process is followed at the security check. If you are caught with any item that is not allowed, you might find yourself in trouble and your item may also be confiscated. Therefore, to avoid any trouble you should acquaint yourself with the list of items that are allowed and those that are banned on flights. The first thing that all passengers should know is that there are two types of baggage allowed on every flight. The first is check-in baggage that is deposited at the airlines counter when you check-in for your flight. This is the heavy suitcases that go into the cargo area of the airplane. The other type of luggage is what you are allowed to carry with you in the seating area of the aircraft. This is known as cabin baggage. Cabin baggage is smaller in size and lighter in weight and can be easily carried with you. There are certain items that cannot be kept in the hand baggage but are allowed in check-in bags and there are certain items that are not allowed in both. To resolve your confusion, here is a list of items that can be carried in your luggage and that can’t be carried at all both in checked-in luggage and cabin bag. Explosives and replicas of explosives: Explosives are considered a threat to aircraft and are not allowed in the flights. You must remember that even the replicas of these items (even if they are toys) are not allowed in the flights. If you carry such items or replica of such items unknowingly, airlines will not accept any excuse and might call the explosive experts or the police and the bomb squad. This situation will lead to emergency and costly evacuations, delays and missed flights. Some of the dangerous items that you cannot carry on the flight with you are fireworks, gunpowder, and flare guns. The rules related to some of the above-mentioned items may vary, therefore, you should check with your airline if you want to take any such item with you. Check here if your passport is eligible to apply for ESTA travel permit. Marijuana: Laws related to marijuana vary from state to state. Some states in the US allow the limited use of marijuana after the age of 21 while others don’t. But rules related to marijuana are the same for maximum flights and it is clearly not allowed to bring marijuana on flights. In fact, you can’t carry it past the TSA security check screening point, and you also cannot carry it in either carry bag or checked-in bag. You should also know that you may be prevented from boarding your flight if you are intoxicated because you won’t be able to react properly during an emergency, and you will become a hazard for both crew members and other passengers. It is not allowed even if it is for medical purpose and prescribed by the doctor. The smoking zone also prevents the use of marijuana. Self-heating meals / ready to eat meals: Due to the self-heating element, such meals are not allowed in most of the U.S. flights. The rules may vary for different airlines. Some airlines may allow them in the cabin baggage and others in checked-in bags and some don’t allow these meals at all. Liquid or gel items more than 3.4 oz are also not allowed. Before taking any such item, you must cross check with the airline authorities and get a clear picture of their policies related to food and self-heating meals. Sole insoles that contain gel: Gel sole insoles are banned because they are said to have more than 3 ounces of liquid and they can leak if punctured. Along with gel insoles, other gel items that are banned are gel candles and child soothers. All such gel items will be confiscated at the check pint. Grenade shaped items: Any toy or bottle or even a perfume bottle that looks like a grenade should be left behind at home as they are not allowed in flights. Any such thing can be confiscated and you can put yourself in unnecessary trouble. Peroxide: No matter how much you love using it in the day to day life but it is a complete no-no in the flights. You can buy peroxide locally once you reach your destination as they are easily available in most of the countries. Brie cheese: Brie cheese is considered to be a liquid and will be taken away at the airport security checkpoint. Thus, instead of losing your favourite cheese you should make the arrangement of getting it couriered to your destination. Protein powder: The TSA does not allow protein powder on board and no logic or reason will work with them. In fact, other powdered substances like instant coffee, powdered milk or spices are also not allowed on board. Electronic cigarettes/ vapour cigarettes: Both E-cigarettes and vapour cigarettes generate an excessive amount of nicotine and they are not allowed in cabin bags by some airlines. However, some airlines do allow them so check with them. Few flights allow you to carry them in your cabin bag but they have a strict no-smoking rule on the flight. In fact, flights will not let you board if you have attempted to smoke or smoked your E-cigarettes in previous fights. Therefore, to keep yourself away from such embarrassing situations, you must not try to smoke these cigarettes inside the premises of the airport. Samsung Galaxy Note 7: US airline passengers are not allowed to use or charge their Samsung Galaxy Note 7 on planes because the batteries of the Note 7 can catch fire and explode. Other than US airlines, Qantas, Jetstar, Virgin Australia, and Indian Airlines have also banned the use and charging of the Note 7. Some airlines have also banned the charging of mobile phones even in switched off mode. You are not allowed to use or charge Samsung Galaxy Note 7 but you can carry them in your checked-in baggage. English Christmas crackers: These crackers create the sound of bang while splitting apart that can confuse travelers and hence they are not allowed in your cabin baggage, but you can pack them in your check-in baggage. Snow globes: If your snow globe has less than 100 ml of liquid then you may carry it in your check-in bag but because there is no way to measure the liquid, there is a possibility that you might have to give it up at the airport if you are questioned. Throwing stars: These stars are considered as weapons and are not allowed in cabin bags. In fact, any kind of martial art weapons are not allowed in flights. Some flights may not allow them in check-in baggage either. Therefore, it will be a good idea to ask your airline about the rules and regulations related to throwing stars or any martial art weapons. 10: Guns: They are weapons and are hence not allowed in the handbag. Only empty licenced guns are permitted in your checked-in baggage, but they should be locked in a hard container. There may be an additional fee for carrying a gun in your luggage. Hence, you must check with your airlines regarding the rules and regulations of carrying guns in flights. It is important to check these regulations because the laws related to guns may vary from one US state to another. If you are traveling anytime soon within the US or to the US, the information in this article will ensure that you do not get into any trouble due to ignorance.